SMi Reports: The National Institutes of Health announce one of the most ambitious medical projects in biobanking, which will commence this spring. 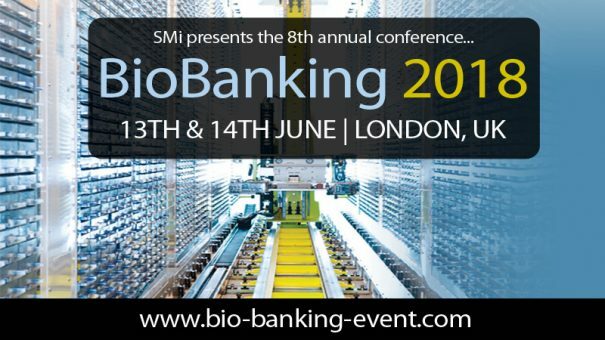 In the run up to SMi’s 8th Annual Biobanking Conference taking place this June in London, biobanking has been gaining publicity and making headlines. In recent news, The National Institutes of Health have announced they will begin recruiting participants for a medical project named the All of Us Research Program. Their aim is to produce a collection of health information from participants, ideally a representative sample of the US population, in the hopes of gaining new insights into who is affected by disease and why, as well as how we can prevent and treat chronic diseases. Investment in the project is growing rapidly, with a confirmed budget of $230 million in 2017, and $1.455 billion authorised by Congress over 10 years*. The growing popularity of biobanking proves a promising future that is to be discussed in detail at the Biobanking conference on the 13th and 14th June 2018 in London, UK. The event aims to strengthen current knowledge in biosample management and its research applications, regulations, the application of novel technologies associated with biobanking, as well as new data protection software and security. In addition to biobank representatives, the event will also feature presentations given by scientific pioneers from pharmaceutical companies and academics, who will be discussing biobanking applications in industry and translational research, guidelines, safety and regulation of biosamples, technology updates and sample management, and the impact of data protection regulations.